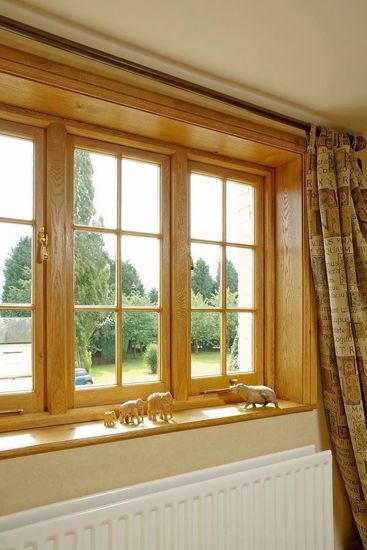 Venables Oak offers stunning European Oak window boards from stock. They are laminated in three pieces to produce an overall width of 255mm and finish 21mm in thickness. We stock various lengths such as 1.5m, 2.0m, 2.5m and 3.0m. We use only the finest selected character grade kiln dried European oak boards to produce our window boards. They are also Osmo clear base coated so they are ready to install.